Haneda is an handwritten typeface published by Indie Type in 2014. This contemporary font has 6 styles, it is fun, friendly and very easy to read. It is recommanded for book cover, websites, poster etc. 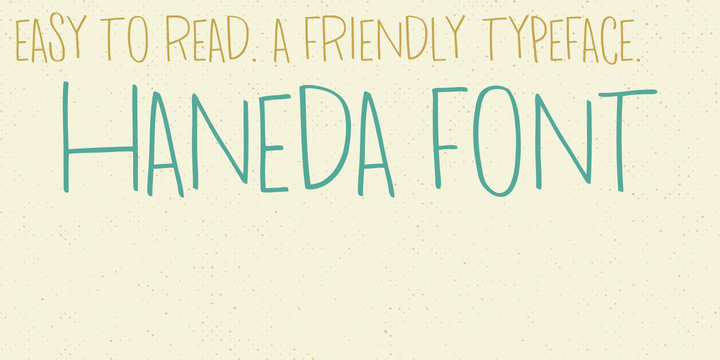 A font description published on Friday, March 28th, 2014 in Fonts, Indie Type by Alexandra that has 5,670 views.